On August 6, 2018, SGI President Daisaku Ikeda wrote the final instalment of his serialized novel, The New Human Revolution, completing a colossal undertaking he had begun 25 years previously to the day. 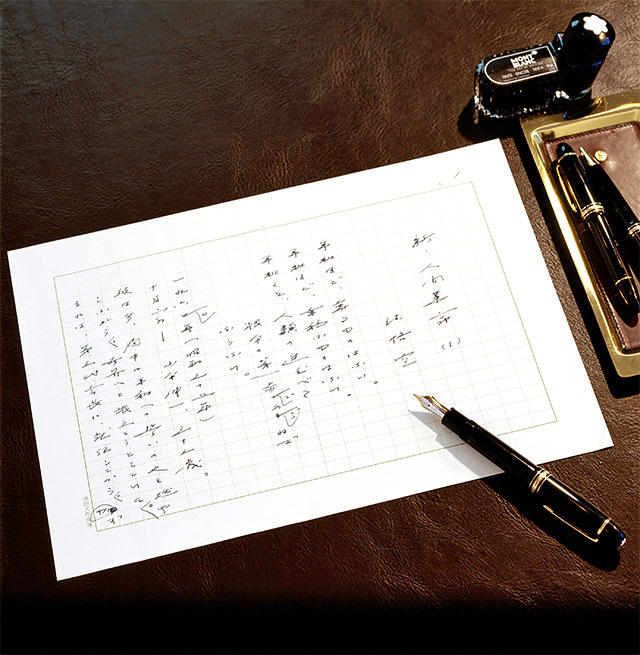 The 30-volume work charts the development of the Soka Gakkai, both in Japan and internationally. In essence, it is a story of the growth of a global movement for peace and individual empowerment built through “human revolution”—the process of individuals cultivating the “limitless inherent power” of the human spirit. This movement is what in the Soka Gakkai is referred to as kosen-rufu. August 6 is a day of deep significance, the anniversary of the 1945 atomic bombing of Hiroshima that killed tens of thousands of civilians. President Ikeda’s choice to complete The New Human Revolution on this day reflects the novel’s deep concern with the peace of humanity. President Ikeda began writing this 30-volume series not long after completing The Human Revolution, a work in 12 volumes that details the efforts of Second Soka Gakkai President Josei Toda to reconstruct the Soka Gakkai in the post-World War II era. That novel ends with President Ikeda’s inauguration as the Soka Gakkai’s third president in May 1960. I expect The New Human Revolution to comprise 30 volumes by the time it is completed. It will certainly be a supreme challenge to finish writing it within my lifetime. Nevertheless, only by fulfilling our mission in this life do we truly live. Goethe, Hugo and Tolstoy were all still working vigorously in their 80s, continuing to pen their convictions. I am 65 and still young. I have taken writing The New Human Revolution as my life’s work. In total, The New Human Revolution comprises a staggering 6,469 instalments, setting a record for the longest running series in a Japanese daily. The manuscript contains some 15,000 pages. The final instalment was published in the Seikyo Shimbun, the Soka Gakkai’s daily paper, on September 8, 2018, a day that marked the 61st anniversary of Josei Toda’s landmark Declaration for the Abolishment of Nuclear Weapons. This was an appeal, made before some 50,000 youth in Yokohama, Japan, that became the guiding principle of the Soka Gakkai’s peace movement. 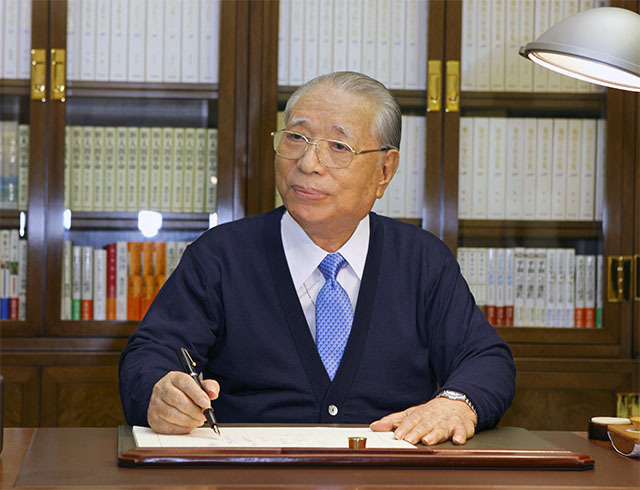 At the basis of these novels is the profound mentor-disciple bond shared by the organization’s first three presidents—Tsunesaburo Makiguchi, Toda and Ikeda. These works are the story of the shared struggle of these three leaders and the members of the movement. They are a history, in the author’s words, of, “the triumph of ordinary people as they illuminate the world with the humanism of Nichiren Buddhism and open a new page in the history of humankind.” They are, at the same time, a manual of faith for carrying out the great task of kosen-rufu and a chronicle of the hope-filled possibilities of individual and social transformation—of human revolution. Youth Musical – Let the SHOW begin!